The last theme I had broke constantly. How can I know yours is different? 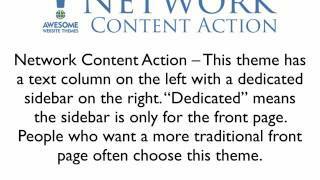 The Network Family of themes has already been field tested for over a year on 30+ websites. It has been put through the wringer on Windows, Mac, smartphones and tablets with all popular browsers. So you can be confident that it will not break. If you do have a problem, however, we take pride in our top-notch support, and are always ready to help you quickly and to your satisfaction. Yes. If you decide you want a refund within the first 30 days of your ownership you will receive it promptly. See the “Guarantee” section of the Terms and Conditions page for more details. You say that your themes are easy to work with. Please explain. WordPress is famous for its user-friendliness. Our themes build on that by making every element on the front page ultra-easy to edit without coding. Plus, we have videos that will help you every step of the way. Most people find that they can enter and change content very easily and quickly with a minimum amount of training. You will spend hours rather than days setting up your theme. Explain the differences between a platform, a framework, a theme, a child theme, and a skin. All websites must be based on a platform, which can be compared to the foundation of a house. Many websites are built with HTML, but over 75 million sites depend on the WordPress platform and that number is growing exponentially. 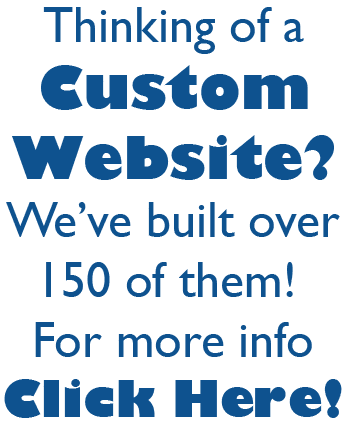 Our themes are built on the foundation of the WordPress platform because it is reliable, updated frequently, and offers the user a superior experience. There are two other parts of a WordPress theme besides the foundation. There is the framework, which is the basic inner part of the theme’s “house” and provides its functionality. The outside of the theme’s “house” determines the way the website looks and performs. Most WordPress themes combine both the framework and the outside of the theme’s house, and they are set on the WordPress foundation much as a modular house is. As such they are not easy to update or modify, which is why so many themes are quickly out of date. It is a common experience for the theme developer not to be available for support or updates when the theme is broken. WordPress recommends splitting the framework from the outside of a theme’s house. Frameworks such as Thesis or Genesis provide the theme’s functionality. The outside of a theme house is called a child theme, or as Thesis calls it, a skin. Frameworks can be updated regularly to add features and to take care of changes in WordPress. The same can be said of child themes and skins, though they seldom break – it’s the framework that is responsible for all the internal operations. Our themes are built on the WordPress foundation and the Thesis framework. Both are rock-solid and are actively being developed. We rigorously test our themes in all modern browsers to make sure you have no problems with them. Why is the Thesis framework needed for the Network Family of themes to work? As discussed above, WordPress recommends splitting out the theme framework of the “house” from the outside of the house. The Thesis framework provides the basic functionality for our themes, which make up what you see on the outside of the house. And like any house, it’s the framework that holds it all together. The Thesis framework for individual sites can be purchased separately from DIY Themes. A Thesis client license is included in all our installations. Other Thesis themes allow you to change fonts and layout. Why doesn’t Network do so? We have found over the years that most business people do not want to tinker with their themes. They would rather use their time making money. The Network themes have a carefully designed layout that has proven to be very popular with businesses. The fonts are matched precisely for weight and contrast. Of all the people who have tested our themes, none have complained about the layout or the fonts. However, if you do want layout, font or other modifications, they can be done quickly and inexpensively. See the Custom Modifications page for more information. Why do you call the Network Family themes, when they are actually Thesis skins? Most non-Thesis users call a website a theme, and have no idea that Thesis calls their themes “skins.” To call the Network Family skins would confuse most visitors, so we call them “themes” to better communicate.